Franchising essentially hands over control of a corporation’s most valuable asset – its brand reputation – to a third party which increases risks for the brand to maintain its reputation. This no longer needs to be the case. Adopting a cloud-based monitoring system gives brands the ability to monitor franchise activities across multiple locations in real-time reduces risk and ensures customers receive the same experience, whichever restaurant they visit. 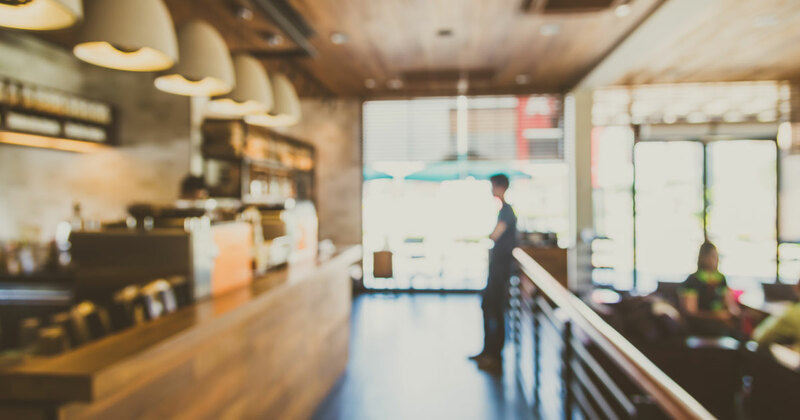 Whether you are responsible for multiple restaurant franchises, or a whole corporate chain Enviromon can provide you with the necessary temperature monitoring systems to allow you to focus on what is important, the restaurant's operations. Restaurant and franchise operators can benefit from a centralized monitoring system that consolidates data from all connected sensors across multiple locations for real-time analyzation and reporting as well as automatically alert management to issues that require immediate attention. As a manager or owner of a restaurant franchise or corporate chain you undoubtedly understand the importance of maintaining food storage conditions and freezer temperatures for food safety compliance and customer satisfaction. While managing compliance with food safety regulations for one restaurant can be a daunting task; managing compliance across several or hundreds of restaurants can be near impossible to do without a comprehensive and cohesive system in place. How would you like a single system that can monitor and record freezer temperatures across your entire enterprise that is accessible on the web with real-time data and historical reports that can make compliance reporting and audits more convenient and accurate? 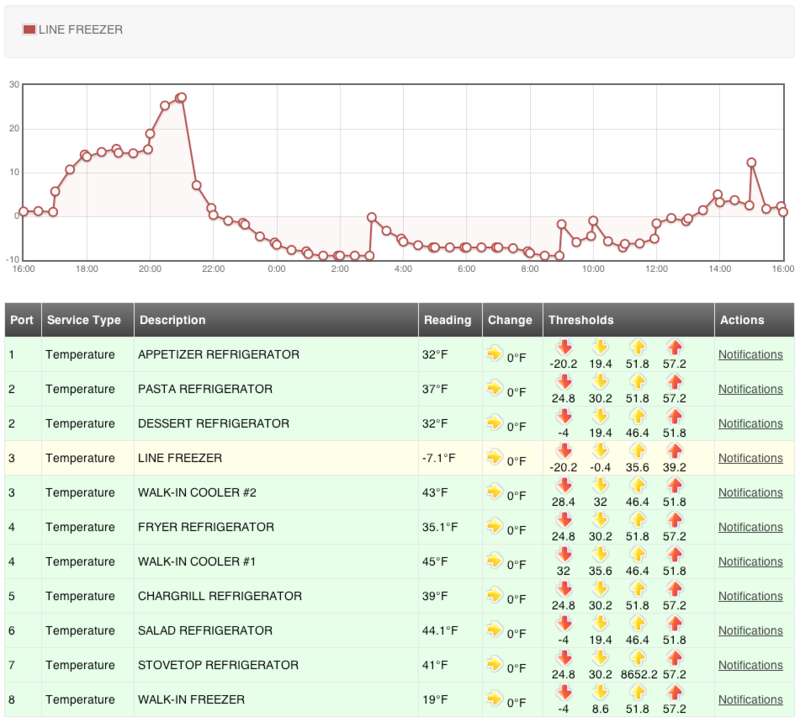 Enviromon’s temperature monitoring system for food storage freezers can collect data from hundreds of individual sensors in multiple locations under one easy to use dashboard. Imagine. No more tasking employees with tedious reporting (which can be sometimes inaccurate or inconsistent). No more calibrating analog sensors. No more handwritten temperature logs to submit into your data collection system. Everything is viewable at the push of a button from a laptop, tablet, smartphone or enterprise management system at a corporate headquarters. As a corporate brand, the benefit is complete awareness of how franchisees are managing food storage to ensure compliance which goes a long way to protect brand reputation and customer satisfaction. Temperature-smart sensors automatically send data securely to the cloud and can be monitored in real-time by managers at brands, providing the ability to spot discrepancies and take action before major issues arise. This minimizes the potential for reputational damage while helping franchisees follow processes correctly. As a franchise owner with multiple locations, this provides an overall look at the state of food storage across all locations for improved management and proactive maintenance. Due to the processes food must go through from storage to preparation it can make it difficult to monitor the compliance from one stage to the next, which is why it is critical that food safety programs are implemented across multiple touchpoints. The benefits can be seen in improved food quality standards, reduced costs from spoilage, and avoiding food safety incidents that can result in negative publicity for the brand. The temperatures of the walk-in freezers and refrigerators can fluctuate quickly depending on how often they are opened and closed. These fluctuations are not likely to be recorded by manual methods and can miss rises in temperature that may last over a period of hours, where food temperature are within unsafe and potentially dangerous ranges. For these reasons, we recommend continuously monitoring food storage temperatures. Automated alerting also notified managers, owners, and staff who can then react swiftly which prevents unsafe food storage trends from going unnoticed. Once the food is cooked to the proper temperatures and placed into warming areas or hot carts, temperatures must still be maintained in order to ensure that it is safe for consumption. The drawback of these warming solutions is that they often do not have a way of recording the temperature of the warming area. Using a thermal probe, the temperatures of warming areas can be monitored and recorded for consistency. Not only does this help prevent food safety incidents but it also provides a full compliance audit trail that can be used by both management and health inspectors to show that HACCP processes are being consistently followed. Enviromon's temperature monitoring system can dramatically improve the food safety compliance for restaurants by providing automated monitoring and real-time alerts for food businesses of all sizes. Paired with other digital technology, such as work management systems, it will transform the ability of managers and owners to see what is happening in their businesses, respond to issues, and deliver a full audit trail for regulators. Contact us, and our dedicated product support team work with you to develop a complete monitoring solution for your franchise or corporate restaurant chain, that is customized to your needs and scalable to any number of locations.